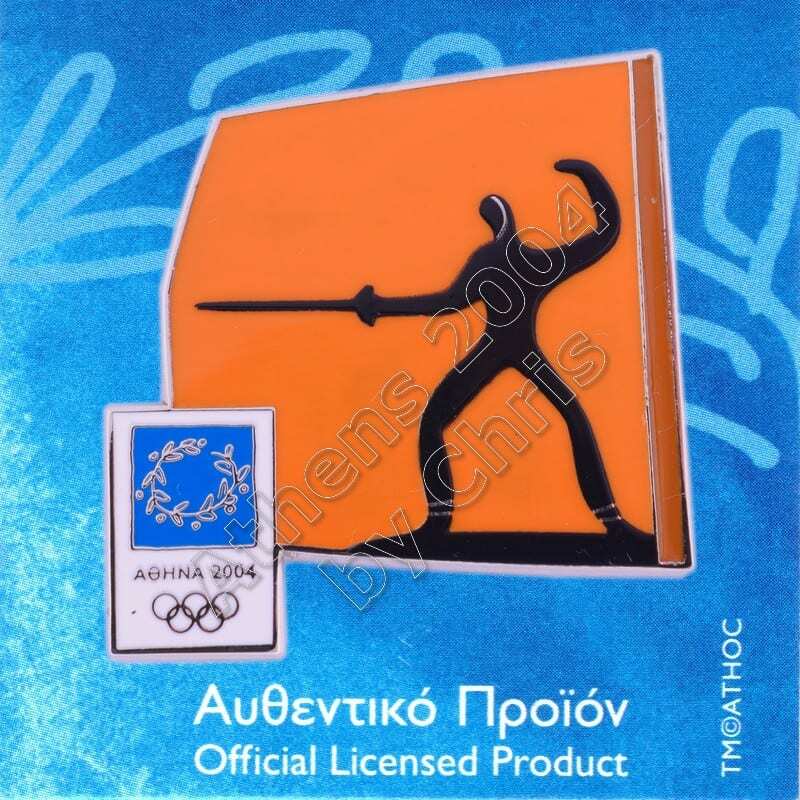 Fencing at the 2004 Summer Olympics took place at the Fencing Hall at the Helliniko Olympic Complex. 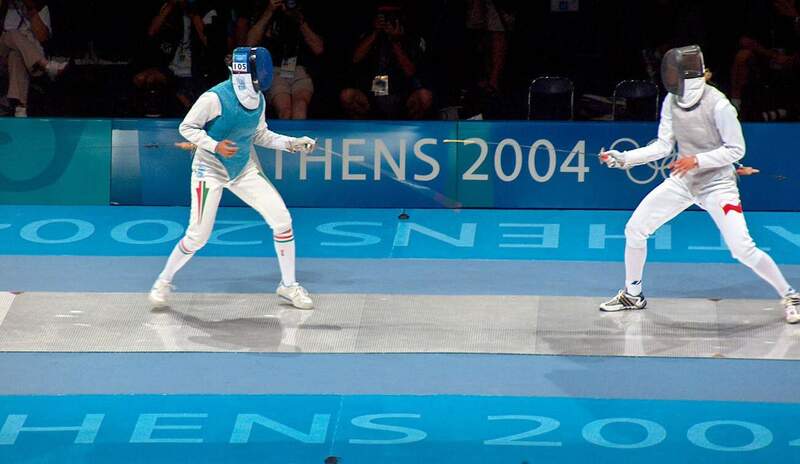 Ten gold medals were awarded in individual and team events further divided into three styles of fencing: épée, foil and sabre. 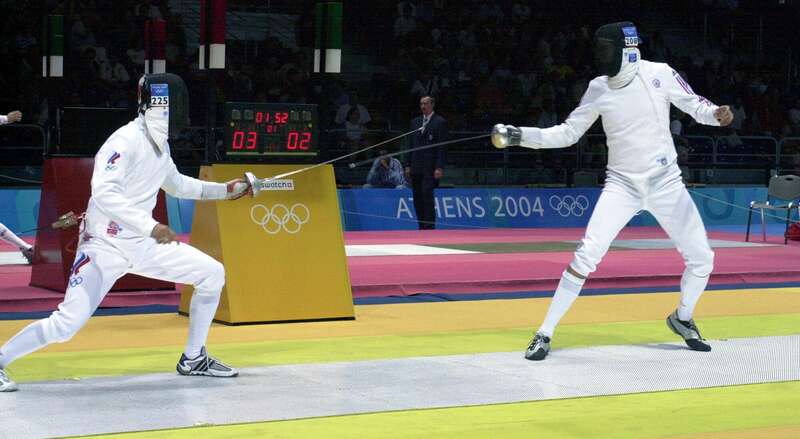 Fencing is one of only four sports that have been featured in every modern Olympic Games, and for the first time female competitors competed individually using the sabre. 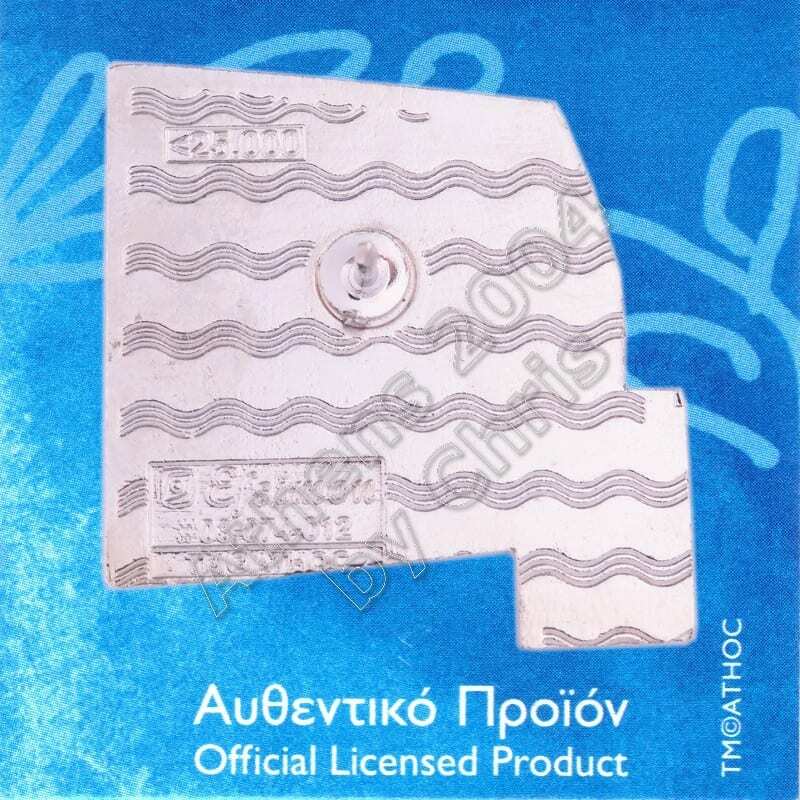 The Lexan window mask showing the athletes faces were used for the first time at the Olympics.